Akouein is one of the leading suppliers of acoustic windows and doors. 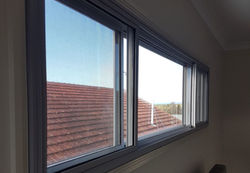 Acoustic windows can be manufactured to almost any size and shape and are readily incorporated both in modular structures and in buildings of conventional construction. GLOBAL LG UPVC SOLUTIONS always considers about the importance of the fine external appearances as well as making the healthy and comfortable living space. You can feel a more beautiful scene and fresh air through the LG Hausys window. 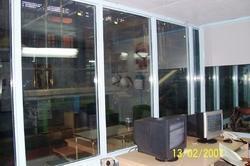 We manufacture soundproof windows to be used in variousorganizations. We design such sound proof window after gettingclients specifications.They are easy toinstall and better fornoise control, betterinsulation, no mess orconstruction required. We manufacture sound proof glass having two glasses with air gap between both the glasses provide adequate vision of the production process windows can be incorporated into the design. The design of windows, particularly large window areas, requires great care in the details of glass responses. Material: UPVC, Perforated Sheet, Rockwool etc. Being in a highly competitive world of business, our company is deeply acclaimed as one of the best dealer of Acoustic Aluminium Soundproof Window.